David Schubert, the senior author of the Salk Institute study on THC and Alzheimer’s disease. A new study suggests that marijuana may have potential for protecting brain cells against Alzheimer’s disease. Published in the June 2016 issue of Nature, the study found that tetrahydrocannabinol (THC), the main psychoactive compound in marijuana, and other active cannabis compounds could block the progression of the disease. 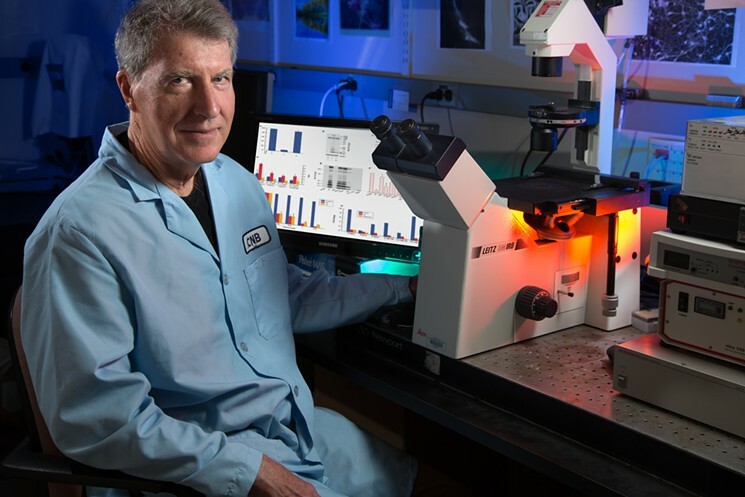 Lab tests by the Salk Institute, a Southern California, non-profit research organization, showed that marijuana compounds could remove harmful amyloid beta proteins, the plaque that accumulates on brain cells, which is a hallmark of Alzheimer’s disease. The compounds in the study also significantly reduced cellular inflammation, a major contributor to the onset of the disease. For more on the study, read L.A. Weekly‘s article on the effect of marijuana on Alzheimer’s disease.